For meetings, networking, training, conferences, seminars, workshops and interviews. An environmentally sustainable venue which offers flexible rooms for all to meet, both within and outside of office hours. Less than 200 metres from Farringdon station. Liverpool St, King’s Cross and St Pancras stations nearby. Energy efficient and low water-use with sustainably-sourced refreshments.  Our certifications include BREEAM Excellent, ISO 14001 and ISO 9001 certified. 6 flexible rooms that can be laid out in 12 different ways. Ideal for small and large groups of up to 140. We serve the highest quality locally produced food and drinks through our caterers, Kudos Delivered. We can tailor our menus to suit all diets and allergies. CIWEM Venue is home to the Chartered Institution of Water and Environmental Management. We provide our members and non-members with flexible, affordable, environmentally sustainable meeting rooms, in a central London location. We have a range of 6 versatile, different sized rooms which can be arranged and re-arranged to cater for any occasion, and are available outside of working hours. Venue hire is available from as little as £155 for one of our stylish, smaller rooms that can comfortably hold 9 people; or you can hire much larger suites and host over 100 people. If you are looking for venue hire in London then why not consider our sustainable venue for your needs. 2.4GHz and 5GHz WiFi connectivity to high speed internet throughout the venue. State-of-the art sustainable heating and cooling systems. Flipcharts, markers, notepads and pens. Handset and polycom stations available for conferencing to UK national numbers. Bose speakers, 47” flat screen TVs, LCD projector & microphones. Connect all your equipment types through HDMI and VGA. Sandwiches, hot food, water (triple filtered still and sparkling), juice, tea and coffee for all diets and made from Fairtrade or locally sourced products. Domain hosting, printer, scanner and copier access. Professional receptionist service. Secure rack available on-site. Bookable in advance. A well priced, good quality venue with catering to match; conveniently close to Farringdon underground makes it a great place to meet in London.